The much-anticipated NAG LAN is back at rAge this October, and tickets go on sale on Saturday 28 July 2018 at 09h00, both online and at Computicket outlets. As SA’s most popular LAN, tickets to the NAG LAN are expected to sell out mega fast, and this year – as promised – the organisers are delivering an even more impressive event and experience! The more good news is that the changes to the NAG LAN also mean a bigger rAge show floor, making for a more interactive and spacious visitor experience, with more exhibitions and activities on offer this year. The NAG LAN is Southern Africa’s largest BYOC (Bring Your Own Computer/Console) LAN event. 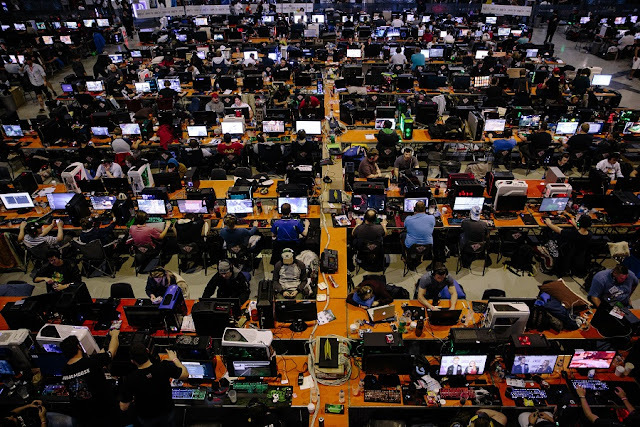 Gamers from all over South Africa will travel to rAge with their gaming rigs, laptops and consoles, where they’ll then game for 52 solid hours! 2018 sees big name sponsors on board to ensure an impressive experience. Nutanix is sponsoring the servers, with Aruba supplying the switches and MWEB Fibre providing broadband connectivity.